Silverton is a mining town in the San Juan Mountains of southwestern Colorado that boomed from the discovery of silver and gold in the 1870s until the silver crash of 1893. 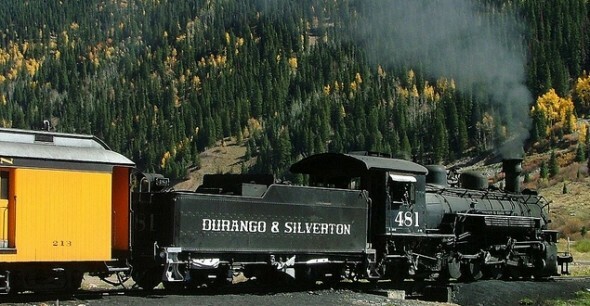 Today, Silverton is a tourist destination, thanks to the Durango & Silverton Narrow Gauge Railroad and the town’s spot on the Million-Dollar Highway. Silverton also is a four-wheel-drive destination, with the Alpine Loop connecting it with Lake City and Ouray through a series of ghost towns and abandoned mines, including Animas Forks, one of Colorado’s best-preserved ghost towns. Silverton also draws backpackers and mountain bikers heading into the Uncompahgre and Weminuche Wilderness areas. Silverton attracted international attention in 2010 as news reports revealed that Red Bull had built a custom-designed halfpipe on the back side of Silverton Mountain in 2009 for snowboarder Shaun White to develop gold-medal maneuvers ahead of the 2010 Winter Olympics in Vancouver. White won the gold medal in the half-pipe competition. Silverton still has enough historic buildings and mining structures standing from its heyday for the entire town to be designated a National Historic Landmark. During the winter, Silverton offers snowmobiling, snowshoeing, cross-country and skate skiing, groomed and lift-accessed backcountry skiing, and skiing, sledding, tubing, and ice skating at the small, in-town Kendall Mountain ski area. Land area: 0.8 square miles. County: San Juan (Silverton is county seat). Altitude: 9,308 feet above sea level.